We live in a sad world where automakers only care to make new crossovers that look like their existing crossovers and patent convertible concepts for SUVs. But! Every once in a while, something good happens. A new Lancia Stratos is one of those things, until you find out you’ll need a Ferrari and $615,000 to get one. Italian manufacturer Manifattura Automobili Torino announced last week that it would bring the iconic rally car back, more than four decades after its 1970s World Rally Championship title streak. 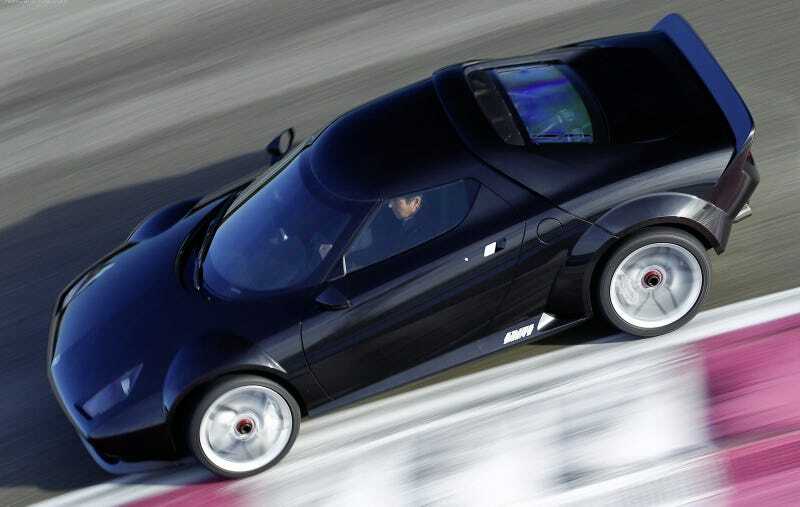 The Stratos and its up to 600 horsepower will have a 4.3-liter V8 and a six-speed sequential transmission, the company said. Only 25 will be made. But the company won’t crank these things out all on its own. After mentioning that the new car would be based on the Ferrari F430, MAT told Automotive News Europe that buyers will actually have to bring a used Ferrari 430 Scuderia and a conversion fee of more than $615,000 at current exchange rates to get the car. The New Stratos’ design follows the lines of its predecessor, one of the most successful rally cars. The Lancia Stratos, designed by Bertone, was launched in 1972 and won the World Rally Championship in 1974, 1975 and 1976. ... CEO Paolo Garella said the Stratos models will be modified Ferrari 430 Scuderia cars, which customers will have to buy on the used-car market. MAT will carry out modifications including shortening the 2600mm wheelbase by 200mm. The car will also have a shorter front-end and a different positioning of the radiator. The short wheelbase makes the New Stratos extremely agile in tight turns and on twisty roads, Garella said. There are already a dozen new Stratos buyers, according to Automotive News, but the story didn’t mention whether they’d found their used 430 Scuderia yet. The current 430 Scuderia listings on Car Gurus range from $200,000 to more than $350,000, meaning the cheapest new Stratos would cost about $800,000. An original WRC Lancia Stratos assembled in 1974, however, was on Bring a Trailer with just 44,000 miles at the end of last year. It sold for $475,000—about half of what this new Stratos on a used Ferrari body would cost.